Adsmart is on Sky platforms which allows us to plan very targeted TV campaigns based on an impression basis and overlaying multiple audience or interests layers. Advertisers are able to cherry-pick their audiences using thousands of combinations from age, location or life style. All this means the power of TV can now be used to greater effect by existing advertisers, whilst becoming accessible for the first time to niche brands, small & medium-sized businesses (SMEs) and location-specific advertisers. This website is great describing the product and also has a section where you can see the level of detail we can be targeted towards. 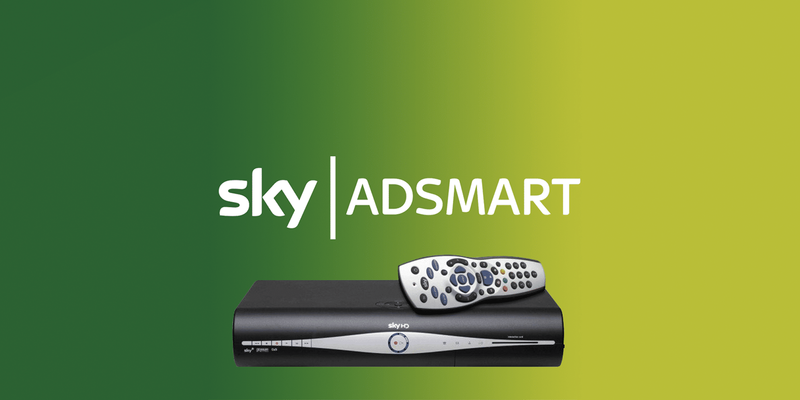 Adverts are sent via satellite to the viewer’s Sky+HD box. The adverts the viewer sees are based on their postcode, age, gender and other publically available information gathered from data company Experian. The adverts that appear on a viewer’s screens are determined by which criteria the advertisers have opted to target. Sky AdSmart allows you to pick and choose from a range of households attributes. There are thousands of ways you can mix the attributes to make sure you ideal customers get to see your TV ad. The data is derived from a combination of Sky’s own customer data and information from consumer profiler experts such as Experian.